So which IWB holsters are the most comfortable? Never fear, we at Outdoor Methods are here to help you pick them out. 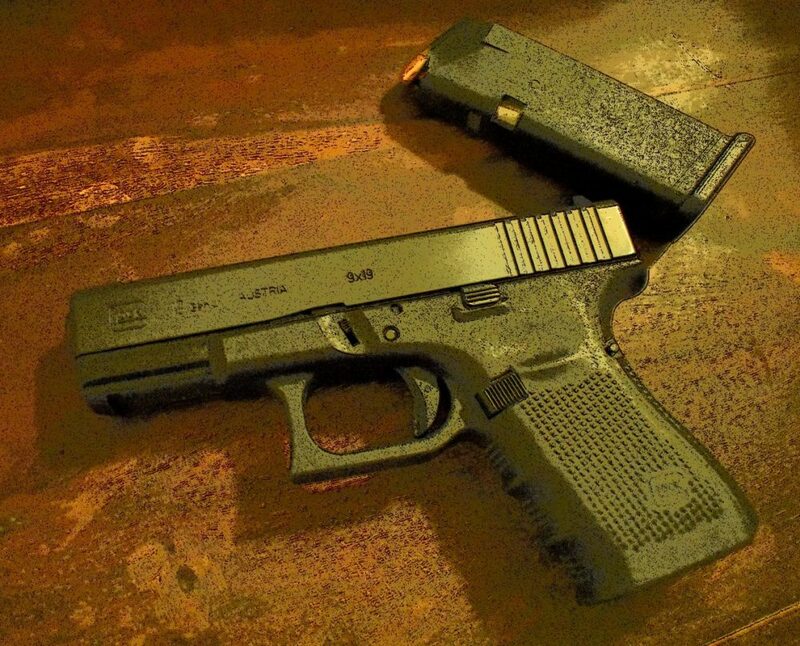 Concealed carry is a funny thing: When you first start carrying, you're usually thinking about the "concealed" part. We've all been there. It's nerve-wracking to think about inadvertently revealing the pistol. 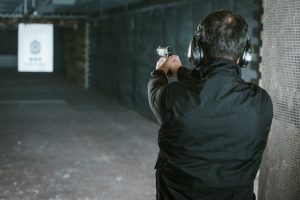 Of course, as carriers gain experience, they usually come to realize just how effective modern holsters are at keeping the gun in place and out of sight. However, the experienced folks have a different concern, namely, the "carry" side of things. 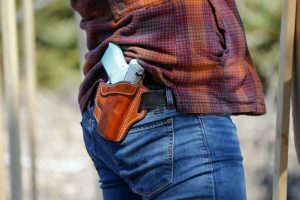 For those of us living in warm climates, with big hands and correspondingly big handguns, or with a little extra insulation around our midsections...sometimes the "carry" aspect is more annoying than the "concealed" part by a long shot. So which holsters then are the most comfortable? Never fear, we're here to help you pick out the most comfortable IWB holster that'll keep your weapon secure and your willingness to carry it intact. Let's get to work. Let's talk definitions first. 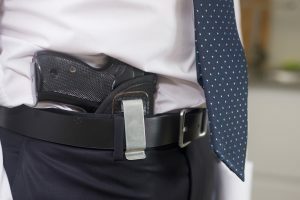 An inside-the-waistband or IWB holster is more or less what it sounds like, a holster designed to ride inside the waistband of the carrier's pants, usually attaching to the belt by means of a clip. Some allow the wearer to tuck in a shirt, some require an untucked shirt as a cover garment. Most IWB holsters feature only rudimentary retention devices at best, since the bulk of the holster rides inside the user's clothing. When we talk about comfort, we mean whether the piece is physically comfortable to wear and access in a variety of situations and positions, and how that's affected by carry positions and body types. Big and bold, the AlienGear ShapeShift 4.0 starts out our lineup with a full-featured offering. 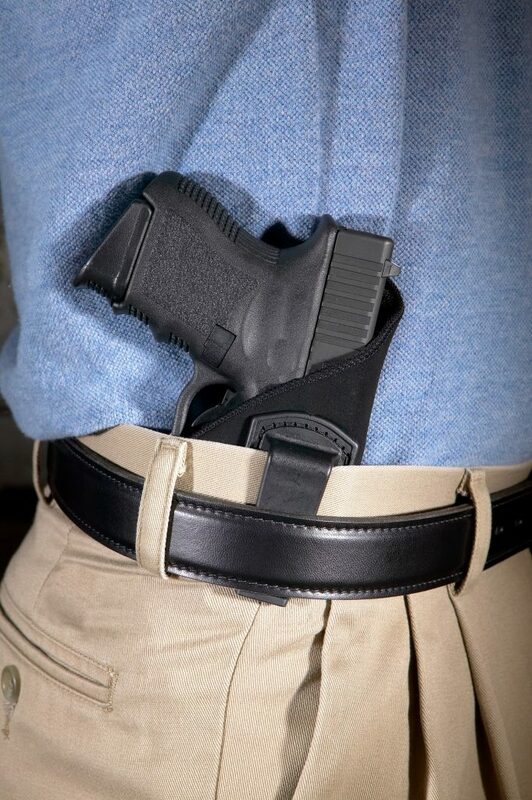 Key to the comfort this holster provides is its flexible yet durable back panel. Designed to conform to the contours of your body, the panel mounts the holster shell and clips on to a gunbelt to stay in place. We're have to discuss the ShapeShift 4.0 at length in another post , so head on over for a detailed breakdown. Therefore, it is suffice say that the ShapeShift 4.0 is one of the most comfortable IWB holster options currently available for your money - just make sure you've got the belt space to make use of it, and a dependable cover-garment to keep your carry concealed. For a more indepth review for the AllenGear ShapeShift 4.0 click here. Sticky Holsters represent the opposite extreme - no clips, no mounts, just a simple padded shell covered in a layer of rubber. The wearer's body heat warms up the surface of the holster and causes it to adhere to the wearer's clothing. At first this feels precarious, especially if you're used to a holster with belt clips. In our experience, the sticky coating works as advertised and the holster stays put in your waistline. The Sticky Holster is very small and simple and easy to put on and take off, a feature that some may underestimate. You can pick it up, stick it in your waistband, and be on your way within seconds, and it'll be right there in the same place on your waist when you get back home. That said, the holster relies on the tension of your clothing to retain your pistol, so you'll need to wear something snug enough to let the sticky coating work its magic. 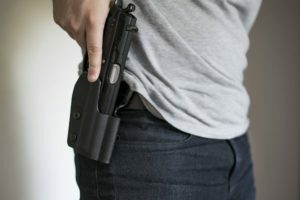 Your gun will stay in place no matter how long you walk, but if you're active beyond that, a holster with more retention may be a better choice. We recommend these holsters for smaller handguns in the .380 / compact 9mm range and prefer a larger, clip-on rig for full size 9mms, .40s, and .45s. With all that in mind, Sticky Holsters are extremely comfortable and easy to use, right out of the box. 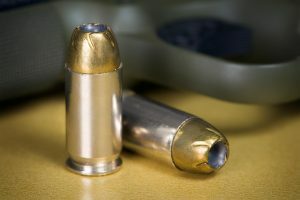 They don't need breaking in, they're cheap, and they'll keep your pistol in place and out of sight. The ComfortTac Ultimate Belly Band represents an alternative take on IWB carry. No belt, no problem - this design supports its own weight and offers both concealment and retention for your pistol. Hell, it's even slimming. The band includes a holster and pouches for a magazine and knife, so you won't need to worry about pocket real estate. This thing will not budge, even when you're jogging or climbing. The retention strap adds an extra layer of confidence for the wearer; that pistol isn't going anywhere. The magazine pouch, on the other hand, does not have a similar strap, so if you're going to be especially active you should perhaps forgo the extra mag. This belly band holster may be the single best option for women, especially those on the smaller side. Women's clothing isn't suited to supporting most holster designs, so the ComfortTac Ultimate's self-sufficiency in that regard is welcome. Like the Sticky Holster it's best employed on smaller weapons. 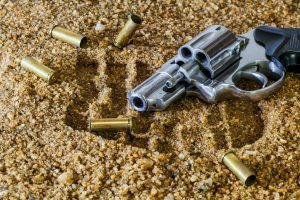 A carry pistol can only save your life if you're carrying it, and this makes that possible even in dresses or exercise clothing. 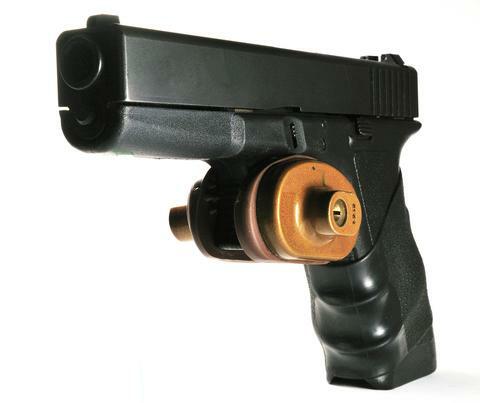 Thanks to this piece of equipment, you can carry your favorite small pistol in any position you please, regardless of what you're wearing. 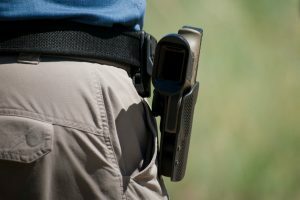 The holster is comfortable and easy to use, although it might get unpleasant after a while in especially hot weather. All in all, a strong option for folks who want to carry without a belt. Thank you for reading, and do not forget to let us know what you think down below in the comments section.